Youth is the pillar for the society in the future. In the past two decades, young people grow with Hong Kong, where their home is. Hong Kong is recently facing diverse challenges, such as study, work and housing, while they have different point of views regarding diverse social issues. To enhance the sense of belongings among Hong Kong teenagers, the government should connect with the young people and let them contribute to Hong Kong. 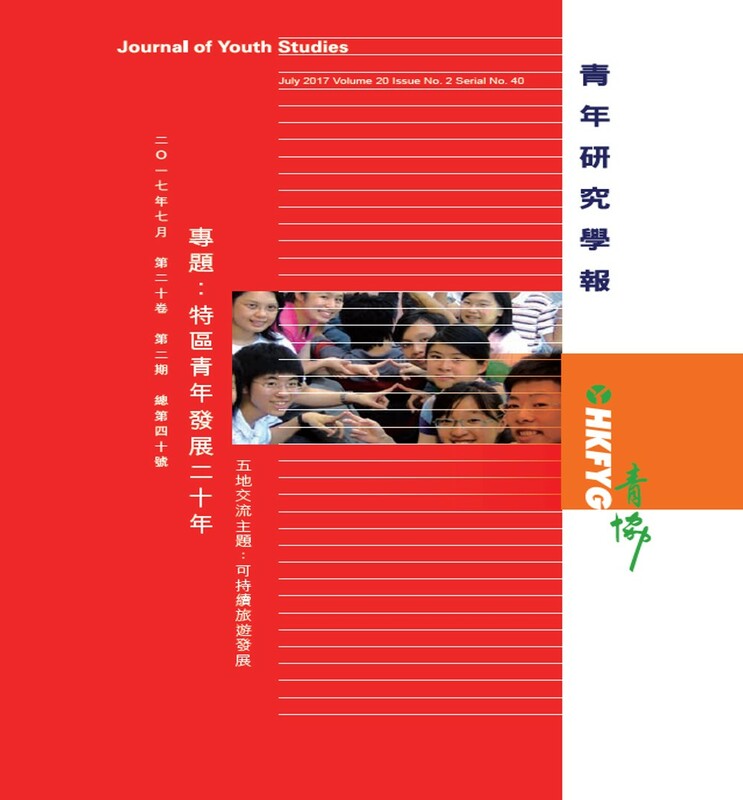 The theme of this issue is “Youth Development in the Past Two Decades”. Scholars and professionals from different fields, including economic development, education, environmental protection, housing, youth competitiveness, youth policies, national identities, social participation, sports , as well as entrepreneurship, examined the opportunities and challenges that the teenagers have been facing in the past twenty years. They also explored the direction for government and different stakeholders when engaging the youth. Apart from the above, tourism is also gradually rising as a common leisure practice among teenagers. Not only does it change the daily life of the people nowadays, but also brings adverse effects to the environment and the community. Therefore, this issue also discusses “Sustainable Tourism Development” in the “Pan-Chinese Societies Exchange” session. The authors, with reference to the experience of five societies, examine how sustainable travel could be practised, and in the meantime benefit the local community and minimize the environmental impact.